The task of naming the top 5 most stressful video games—stressful in itself. Below are 5 games that will have you seeing red, grinding your teeth, and--if you didn’t need your hands to play--biting your nails. You start playing and everything seems fine. You feel like a complete genius! Look mom, I blew through your high score. And then the music speeds up...and you learn what this game from Russia has to teach you. Your happiness is a lie. The world is cruel. Everything dies. The beginning of the Resident Evil was so groundbreaking that the sequels can be flops and we’ll still keep buying them…if just to recapture a glimpse of how terrified and stressed we were trying to survive the first couple adventures. Don’t play them in the dark, you’ll lose your mind. That impossible decision: do I fight, or do I hide? You’re feeling good about yourself when you beat the game, only to find out you’ve barely started. There’s a second round. A round there even Glass Joe is ready to knock your sorry Brooklyn A** to the mat. It takes forever to memorize the combinations you need to get through the game, which means you’ll take a beating again and again and again. The people who made this game, did they ever try to play it? Or were they just sadists? Playing this game is torture to the senses. Insanely difficult, even using Donatello, who’s weapon is so long you can hit enemies on another platform level. Try to beat the game with Michelangelo or Raphael--yea right! The most stressful game ever is also a very beloved game. An excellent game if you can deal with the facts that (1) you have very limited lives, (2) you have limited continues, (3) you have no save points, (4) there are 12 stages, and (5) that the 3rd level with the speed bikes is possibly the most unforgiving level in all of video game history. This game will break every one of your nerves. Play with friends and you’ll lose friendships. Good luck! Slenderman and Five Nights at Freddy's: Really intense if the sound is turned up. It's not scary in a 'horror' way like people try to make it out to be. It's like playing Concentration. You know it's all going to blow up in your face at…any...moment. Super Mario Bros: Caused my Nintendo controller to go airborne quite a bit! Pac man: The ghosts that chase you and the sound effects wa wa wa wa wa wa wa wa wa! Atari's E.T. The Extraterrestrial: Not just the worst game ever, it’s the most infuriating. Any game played by a 5-year-old: Because he usually gets so excited that he jumps and screams even though I have repetitively told him to stop, which leads to him having to take a break from it, which usually leads to big crocodile tears. Asteroids: Can’t control the controller! Candy Crush: I lost my salvation on that one. I had to delete that crap at like level 20! F-Zero (GameCube): Insane. You have to be Jeff Gordon to beat that game. Dragon's Lair: With Dirk the daring! The stand up arcade version was both addictive and a quarter devouring monster. I never got far. The Sims: They require total micromanagement of their miserable little lives. One minute they’re perfectly happy painting a picture of a hill. The next, they’re peeing all over kitchen floor and setting the TV on fire. Anything Old: Modern day video games have unlimited lives. Sure you might lose some items or money to re-spawn, but back in the old days...game over really meant GAME OVER...back to square one. No save option. This article is brought to you by Thriveworks editorial team. If the stress is too much, playing games or otherwise, maybe we can help. Offering counselors in more than a dozen states including counselors in Raleigh, NC. 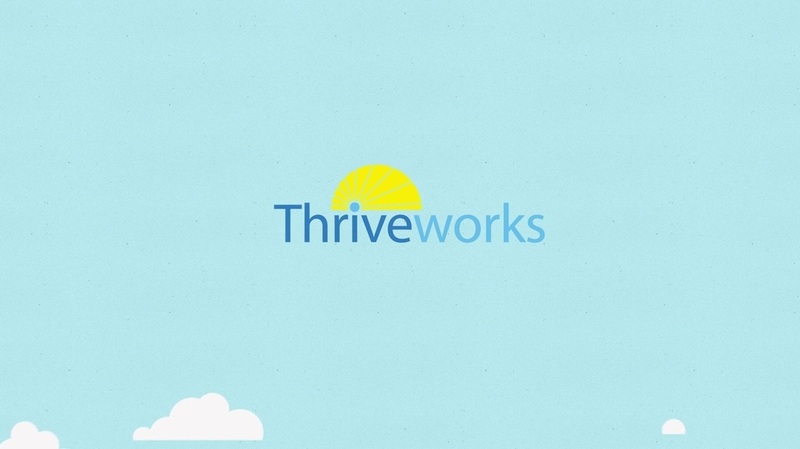 Click the Thriveworks logo below for more information.